One of Local Studies’ treasures is the program for the 1918 film Cupid Camouflaged. Made by the Red Cross Committee to raise funds during the First World War, it was filmed at several locations around Sydney, including scenes in the gardens of Yaralla at Concord West. The story of Cupid Camouflaged involved a budding romance between Rosita Manners and Tony Martin. Rosita’s ambitious mother, however, hopes to see her daughter married to Lord Valentine Loring but it turns out that Loring is an impostor, nothing more than a dress designer with social pretensions! Cupid Camouflaged was presented as the highlight of a special charity evening at the Theatre Royal, Sydney on the 31 May 1918. It was later screened at the King’s Cross Theatre. Like many early Australian films, it apparently has not survived. City of Canada Bay Museum holds a rare album of photographs of the film Cupid Camouflaged. 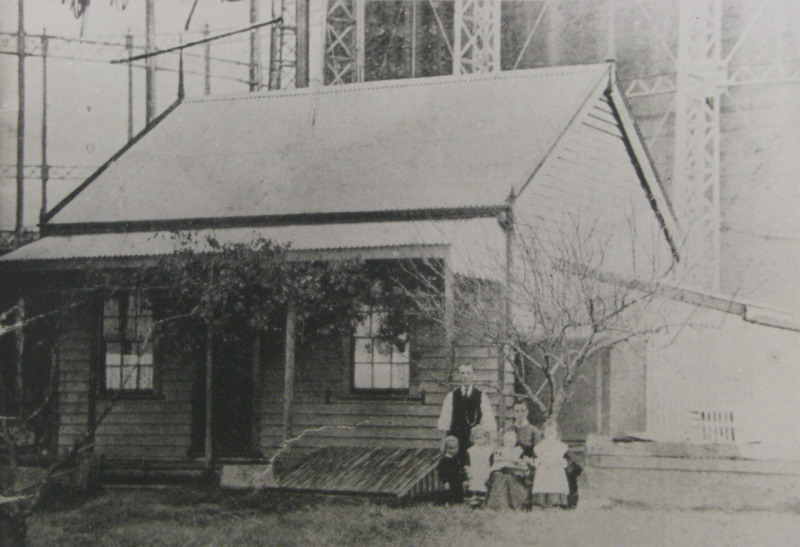 The photograph shows a scene from the film at Yaralla, owned by Eadith Walker. 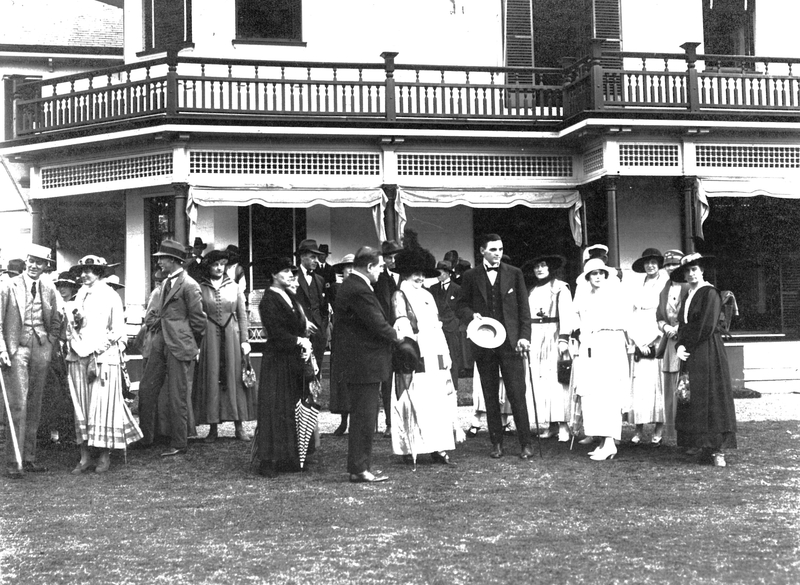 Eadith along with other members of the Red Cross Committee were extras in the garden party scenes. Committee members were a roll call of Sydney society’s best known names of the period. Also among the extras was Mrs Victor White (Ruth White), mother of the author Patrick White. Professional sculling was a popular spectator sport of the late nineteenth and early twentieth centuries, drawing enormous crowds to watch races. Edward Trickett became Australia’s first sports champion when, in 1876, he defeated the English champion, Joseph Sattler on the Thames River. Enthusiasm for sculling led to the formation of several rowing clubs along the river, chief of which was the Sydney Rowing Club. Although formed near Circular Quay in 1870, the Sydney Rowing Club purchased land at Abbotsford and later moved its headquarters to the Parramatta River site. 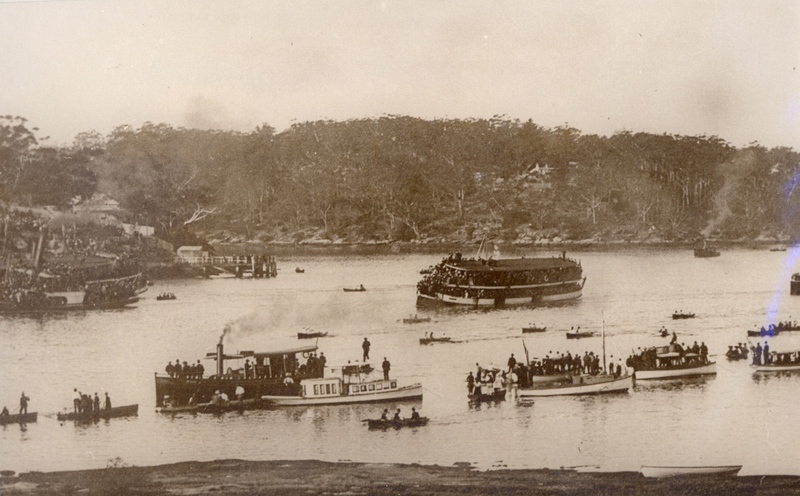 One of the most important annual events was the Greater Public Schools Head of the River regatta which was held between Ryde Bridge and Cabarita Ferry Wharf from 1893 until 1935, when the event was transferred to the Nepean River. Trams ran almost non-stop from the Enfield depot taking huge crowds to Cabarita Point to watch the finish of the race. Supporters chartered ferries and launches, decorated them with their team’s colours and made the spectacular trip along the river to the finishing point. Peter Dodds McCormick (1834-1916) who wrote ‘Advance Australia Fair’ had links with Five Dock. 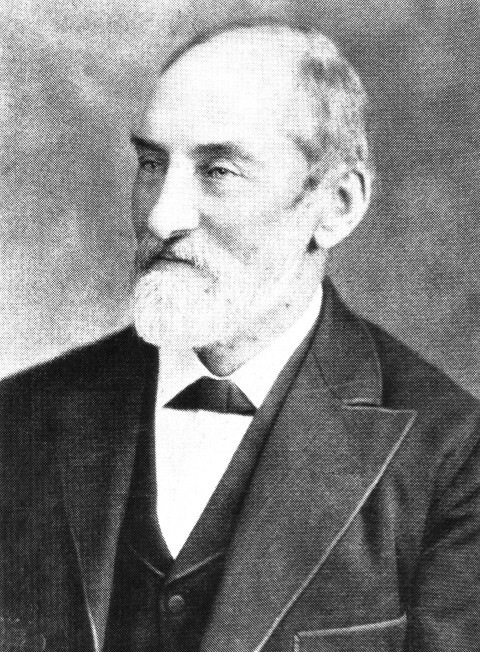 Born in Scotland, Peter McCormick arrived in Sydney in 1855. A staunch Presbyterian, McCormick had a strong interest in music, particularly children’s choirs. He was employed for many years by the Education Department. In September 1865 he became the second Headmaster of the Five Dock School which at that time operated under the direction of the Trustees of St Alban’s Church, Five Dock. In 1878 McCormick wrote ‘Advance Australia Fair’ under the pen name ‘Amicus’ (friend in Latin) after attending a concert which featured national anthems where he had been dismayed that ‘there was not one note for Australia’. 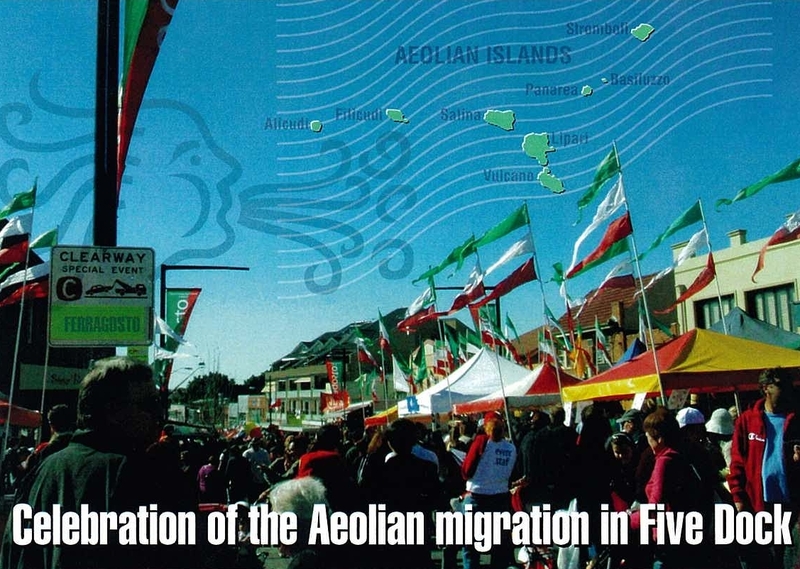 In 1901 at the inauguration of the Commonwealth of Australia, it was sung by a choir of 10,000. In 1974, almost 100 years after its composition, ‘Advance Australia Fair’ became Australia’s national anthem. A plaque commemorating Peter Dodds McCormick was unveiled in the grounds of St Alban’s by City of Canada Bay Mayor, Angelo Tsirekas on Sunday, 11 August 2013.